Today I have discovered this article in the blog of Martin Sketchley, where we can find many resources and experiences about the English language teacher. 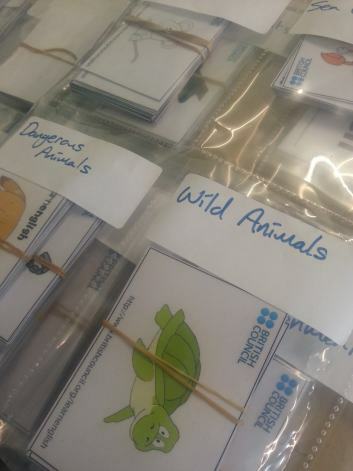 Grouped flashcards at the ready for possible lessons. Thank you for the mention and the link to my original blog post.